Your Financial Life—Connected. Simplified. Organized. At Murphy Wealth, we’re interested in simplifying your financial life. We want to make it easy for you to organize all your finances and to understand exactly where you stand in all aspects of your financial life. 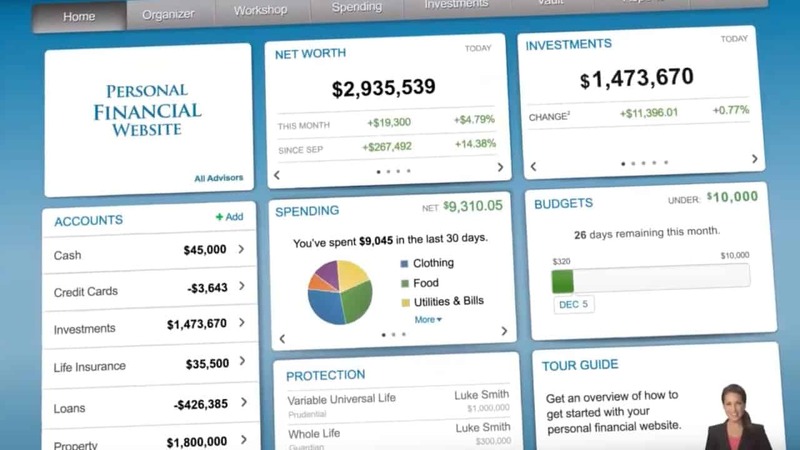 The “Life in a Box” video helps demonstrate an amazing tool that is available to you as a client of Murphy Wealth: a private and secure personal website where all your data is consolidated into one clear picture of you. When you were a kid, everything was simple. Everything you owned could fit in a box. As we grow older, we accumulate more things in more boxes, and things become less simple. If you’re like many people, you may not know where everything is and what it is all worth. This personal financial website makes it easy to connect to all your financial accounts. It allows you to see everything you own—all in one place. As the market changes throughout the day, your balances recalculate to keep you up to date. You can create a budget, track your spending habits and cash flow, and view your bottom line at any time. Our personalized financial website offers interactive workshops to demonstrate how your investment and spending decisions today can impact your lifetime cash flow and affect your retirement. The workshops allow you to interact online in real time to review the financial impact of the options that are available to you. All your important financial documents are stored in a digital vault for safekeeping and can be accessed from anywhere, anytime. The digital vault provides you with the tools to connect with everything you own so you’ll know what everything is worth—all in one place. Up-to-date data is always available so you can evaluate your options. With a simple click, you can print out reports to see your complete financial picture. From Wall Street to Main Street, those who know what they have fare better than those who don’t. Watch the video to see a full demonstration of the possibilities available through Murphy Wealth’s personal financial website—then contact Murphy Wealth in Dutchess County, New York, so we can make financial organization happen for you!